I have been very impressed with this app. 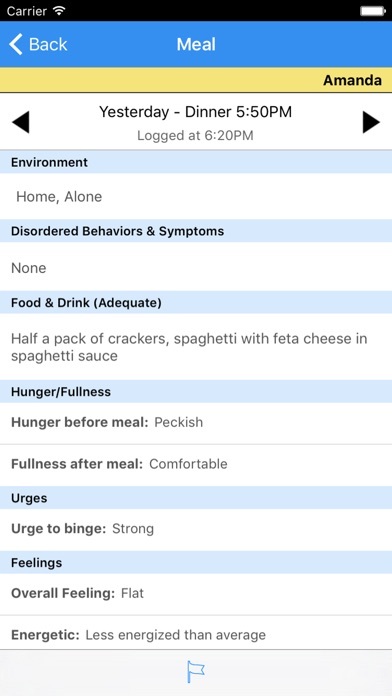 It has allowed my client and I to approach their eating disorder with a new and refreshing honesty. 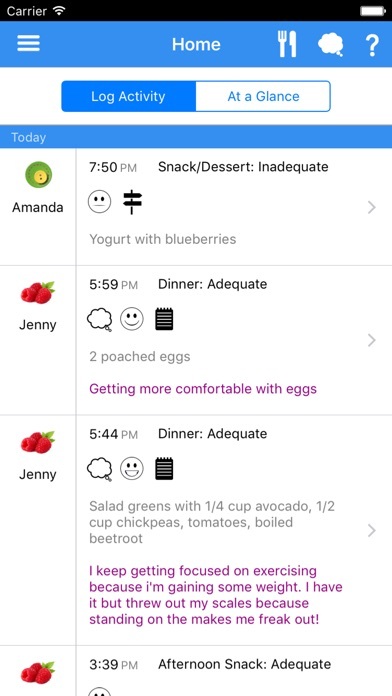 Instead of talking about what they ate and their behavior etc we have been able to talk about the thoughts, emotions and behaviors more comprehensively and used the data recorded in the app as a reference for conversation. It's been great. Definitely use this app! I love this app, and my clients do too. They find it helpful and I find it helpful to give feedback and monitor. However, After I downloaded the latest update it stopped giving me notifications and there are significant delays in the logs showing up. Please fix! Very inconsistent as time goes on. For the amount of clients that I see & use this app, the trouble using it continues to increase. Simpler than imagined. 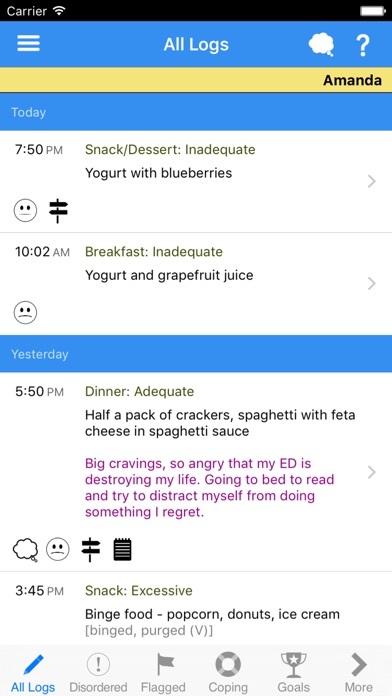 Clear and meaningful way to interact with patients and they really appreciate using this app alongside them. This app must have been designed by people in the know. The features are relevant, the awards encourage participation, and the settings are customizable. 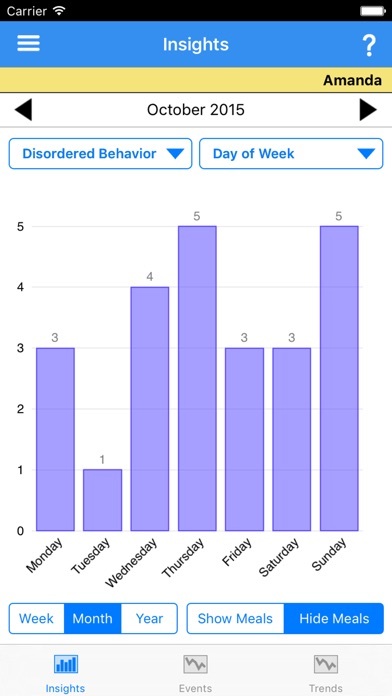 Recovery record was good before and the addition of the clinician app was critical. 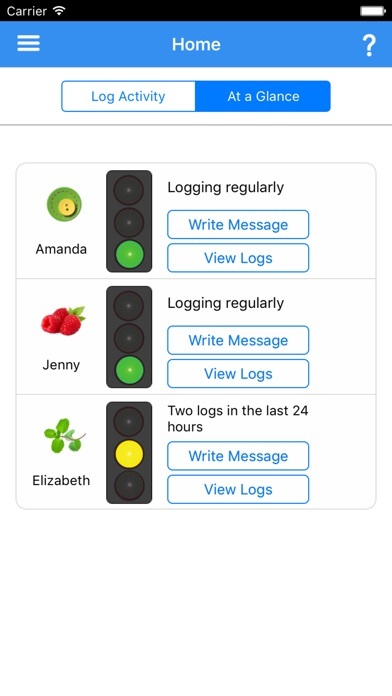 I can keep up with food logs and thought records providing more feedback and support between appointments. This app saves me loads of time!! Love using this to check in on clients and set goals and send messages. I have been waiting for this app so I am excited to access client information on devices other than my computer. It is incredibly robust and well thought through. I love that I can let clients know that I've reviewed their logs and the ability to access their information at any time or place. So convenient, thank you!!!! I LOVE this app! It has become an indispensable tool in my work with ED clients making the work more effective and productive. It's like being given a flashlight for and access to seeing essential information that otherwise felt hidden away in the shadows.